Finley's birthday party was this weekend--we're still recuperating from all the preparing and circusing and cleaning up. Sol let me sleep in this morning because my sciatica was so bad I couldn't really walk. (Actually, he always lets me sleep in on the weekends. He's the best.) 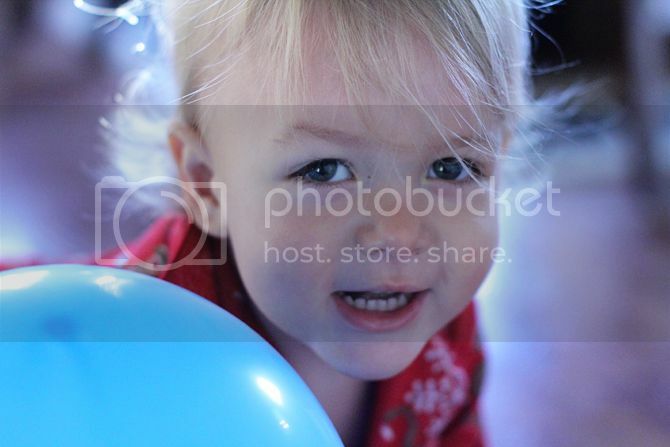 He was in charge of getting Finley ready this morning and he took this totes adorb picture of him crawling around in the deflated balloons from the party. Believe it or not, his hair has been trimmed. Static is a powerful force. This is one of my other favorite pictures from the weekend that is not birthday related. My cousin Sarah gave him this darling shirt that I don't think he will EVER take off... even though he still has some growing to do before it fits. Isn't he wittle? I want him to be my baby forever. I'm on the waiting list to be induced Monday April 11. The baby is due the 13th and I'm happy to wrap things up a little early. I was kind of hoping for April 12 because Finley's birthday is April 21 and I like the symmetry. It would also mean that all three of us would be born on Tuesdays, which is really important. Stay tuned for all the circus party details... editing all those pictures is going to take some time. 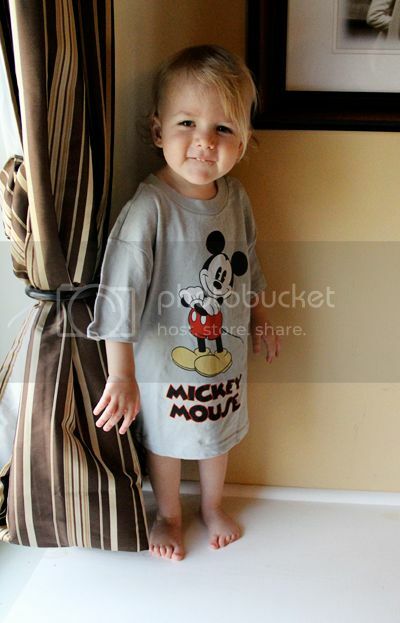 That Mickey t-shirt picture is definitely at the top of the list. Did Finley get a mohawk? His hair looks super rock and roll in that pic. I LOVE it!! Looking very sweet. Reminds me of a picture of Sol when he was very young. totes adorbs!!! LOL. you used it perfectly. And can you post a belly shot of you?? thanks!